At school in the 1960’s, log tables were very much the prime aid to calculations during the math and science classes. The transition from them – we were allowed to use a slide rule – followed by we had to use a slide rule. Fast forward to 1972 and the very first hand-held calculator to go beyond the basic functions – it became the accepted alternative to the slide rule and the transition was extremely rapid for professionals. Sometimes long debate in different countries eventually allowed use in class, then use in exams as well. 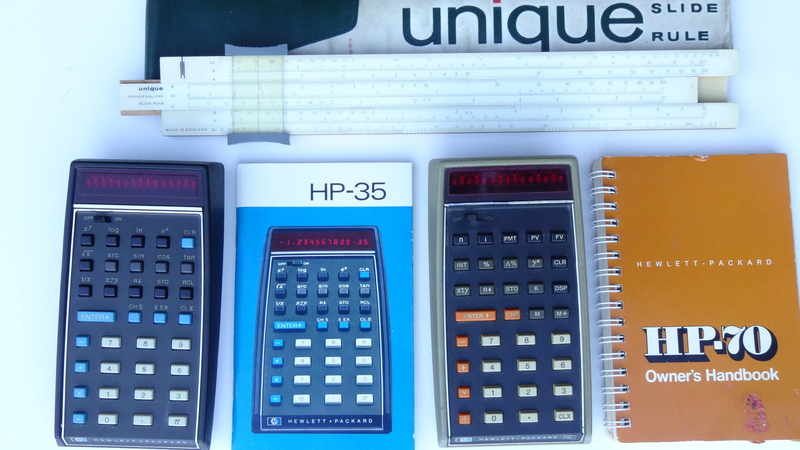 Later, programmable and specialized hand-held calculators (financial or scientific for example) became not only available, but also essential tools of the trade. Class and exam use eventually followed for those as well. 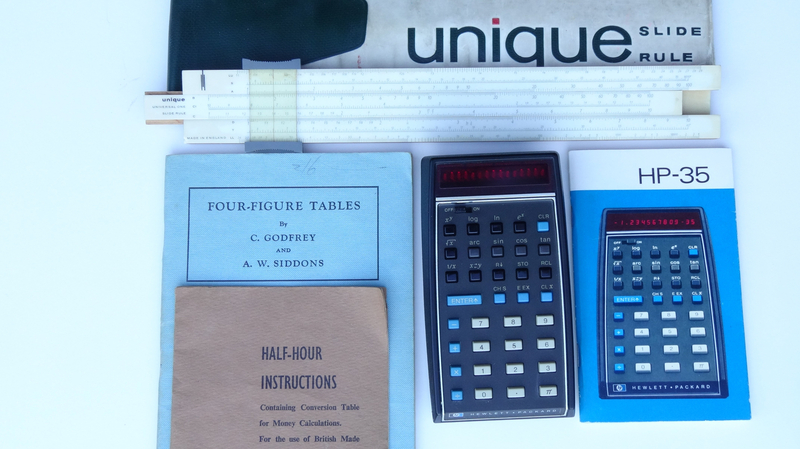 Here is our remaining evidence of this history – as with most of our technical “museum”, the calculators still operate. This entry was posted in .pre-2009, 2019, Art-Science-Literature. Bookmark the permalink.